Happy CyberMonday! PaperBackSwap Market presents the Gift Buying Guide! Bestsellers at bargain prices, without the holiday crowds. We know that every list has its “toughies”. Those to whom you’ve given every year and now you’re running dry of ideas…the ones you don’t know very well…the ones who have everything. Whether it’s your father-in-law (he’s all stocked up on grilling accessories) or the mom who carpools your kids (she deserves better than bath salts) or the co-worker who cracks you up in meetings (is he the one who’s allergic to chocolate?) you can solve your dilemma at the PBS Market. You know how much books have meant to you. Sharing the gift of reading is truly sharing of yourself. We have humor, sports, inspirational narratives, books for kids, stocking stuffers and boxed sets and much more…you’ll find the perfect present for everyone on your list. The Guide will be adding new categories all the time, so check back often. We’ll help you take care of your holiday shopping in a hurry! And don’t forget – with Market Madness each book you purchase before December 31st enters you in a random weekly drawing for 5 PBS Credits – the more books you buy, the more chances to win! At PaperbackSwap we are very much in favor of reduce/reuse/recycle, and we love it when members repurpose materials in their book-packaging, but personal safety must trump environmental concerns, so Members, please don’t use paper with sensitive information on it to wrap your books! Shred that paperwork (and recycle the shredded paper) and use other, neutral paper for supplemental packaging materials. We want our members to protect themselves as well as their books when they package – let’s all stay safe AND green! You can read more about wrapping books in the Help Center. Geri drew nominations from a number of different groups at PBS. She is one of our Tour Guides, and has gotten a lot of nominations from grateful new members whom she has advised, as well as other Tour Guides. Geri’s second “hat” is that of Data Collection Volunteer, and her third is Image Collection Approver. Gina recently completed an enormous project of getting Large Print Mystery books documented correctly in the club database- a huge undertaking, and a wonderful boon for our Large Print readers. Last year, Geri was also part of a group of members who got a new laptop for a PBS member in need. Geri, is there anything you can’t do? You are our Member of the Month for November. Congratulations! If you have any nominations for Member of the Month, submit them to us here. Your nomination will not “expire”–anyone you nominate will have a chance at getting Member of the Month if enough nominations accumulate over time. Each month the person who has the most votes accumulated when the Newsletter goes to press gets to be Member of the Month and gets a newsletter mention and a nifty MoM icon to wear on profile and forum posts with pride. So go for it! Tell us who’s helped you in the Forums, who’s been a great swapper, who in your opinion is a credit to PBS. We are keeping a list of all the nominated members. Who knows–one of them might be YOU. The Arizona Gamers group reports: “We had our first get together in 2 years to welcome Sass to Arizona (she just moved here from Maryland)..Cozi and Katz drove out here to specially welcome her and to deliver pumpkin pie pop tarts and coffee for the coffee swap..New to our group is Sue, and we just love her. Next meeting will be taking place in Sass’ abnormally large master bathroom. We will be using video cams for whoever wants to join us…” Thanks to Kathy (Nellie) for this report. We Were the Mulvaneys by Joyce Carol Oates . The Mulvaneys are blessed by all that makes life sweet… a hardworking father, a loving mother, three fine sons, and a bright, pretty daughter. They are confident in their love for each other and their position in the rural community of Mt. Ephraim, New York. But something happens on Valentine’s Day, 1976… an incident that is hushed up in the town and never spoken of in the Mulvaney home… that rends the fabric of their family life… with tragic consequence. See other general fiction books currently available for swapping. The Thief Lord by Cornelia Funke. After escaping from their cruel aunt and uncle, orphans Prosper and Bo meet a mysterious boy who calls himself he “Thief Lord.” Clever and charming, the Thief Lord leads a band of street children who enjoy making mischief. But the Thief Lord also has a dark secret. And suddenly Prosper and Bo find themselves on a fantastical journey to a forgotten place. What they discover there will change the course of their destiny… forever. See other Young Adult selections currently available for swapping. The Hidden Life of Dogs by Elizabeth Marshall Thomas. In this beautiful account, based on thirty years of living with and observing dogs, wolves and dingoes, novelist and anthropologist Elizabeth Marshall Thomas brings us a completely new understanding of dogs. We meet Misha, a friend’s husky, whom Thomas followed on his daily rounds of more than 130 square miles, and who ultimately provided the simple and surprising answer to the question What do dogs want most? This unforgettable chronicle “brims with insight and respect” (Emily Mitchell, Time International)….See other books about Animal Care and Pets currently available for swapping. The Preacher’s Daughter by Beverly Lewis This book begins a remarkable journey of heartache and homespun delight — a series readers will find impossible to forget. Paradise, Pennsylvania, is likened to a little slice of heaven on earth, but for Annie Zook — the preacher’s eldest daughter — it seems like a dead-end street. Because of the strict rules that guide the Plain community, she must continually squelch her artistic passion, although it has become her solace. In her signature style, with character depth and unexpected plot twists, beloved novelist Beverly Lewis once again opens the door to the world of the Amish. 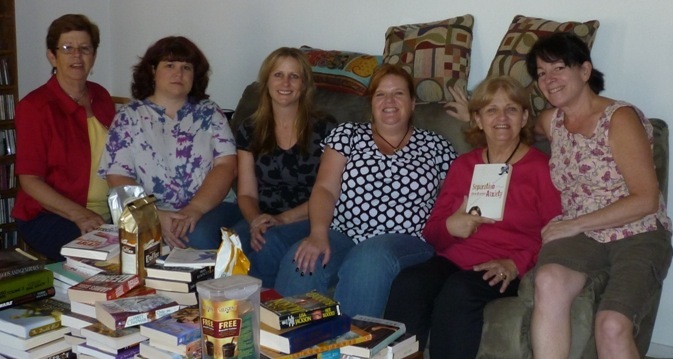 Browse other Christian Fiction currently available for swapping. Scheduled site downtime. The site will be down for scheduled maintenance/upgrades on Saturday, November 20th, 2010, in the wee hours of the morning. Don’t worry if you get the “maintenance” screen during that time – we’ll be back online soon. A Quilter’s Holiday by Jennifer Chiaverini . For the Elm Creek Quilters, the day after Thanksgiving marks the start of the quilting season, a time to gather at Elm Creek Manor and spend the day stitching holiday gifts for loved ones. This year, in keeping with the season’s spirit of gratitude, each quilter will select an object that symbolizes something he or she is especially thankful for, and place it into the centerpiece cornucopia…A Quilter’s Holiday is a story of holiday spirit, in its truest, most generous sense. A great gift for any quilter. The Missing by Shiloh Walker . As a teenager, Taige Branch hated her psychic gift. No one could understand – except for Cullen Morgan, the boy who stole her heart. He did his best to accept her, until his mother was brutally murdered – and he couldn’t forgive Taige for not preventing it. Now a widowed father, Cullen Morgan’s beloved little girl has been kidnapped, and Taige is his only hope of finding her… A great gift for your sister or best friend, or anyone who loves paranormal romance. Biggest Loser Family Cookbook: Budget-Friendly Meals Your Whole Family Will Love by Devin Alexander, Biggest Loser Experts and Cast, Melissa Roberson Healthy, calorie-conscious and thrifty meals designed to please, and feed, the whole family. Sneak some healthy alternatives into your holiday menus, with no one the wiser! This is a terrific book for the family who wants to be healthier without sacrificing taste – or ruining the grocery budget. Almost any cook will appreciate this book! If… by Evelyn McFarlane, James Saywell. In an elegant, two-color format, punctuated with intriguing drawings, this book/game poses hundreds of questions ranging from practical to maddening, moral to hilarious–which, if read alone, inspire self-exploration; if shared, spark fascinating discussions at gatherings, dinner parties, or meetings. Bring it along to your holiday gatherings. Makes a perfect gift for a co-worker – at this price, you can give it to everyone you know! I Shouldn’t Even Be Doing This: And Other Things That Strike Me as Funny by Bob Newhart . There has never been another comedian like Bob Newhart. His comedy albums, movies, and two hit television series have made him a national treasure and placed him firmly in the pantheon of comedy legends. Now, at last, Newhart puts his brilliant and hysterical world view on paper. A hilarious combination of stories from his career and observations about life. A perfect gift for dads, uncles or granddads – or any classic-comedy aficionado. 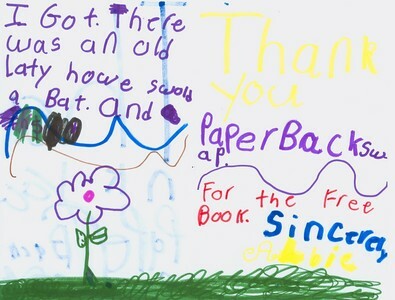 Thanks + Giving = Books for Kids! We are very pleased to announce Books for Schools 2010, where your unused book credits can make all the difference in a child’s life! Many of you remember last year’s holiday school book drive. 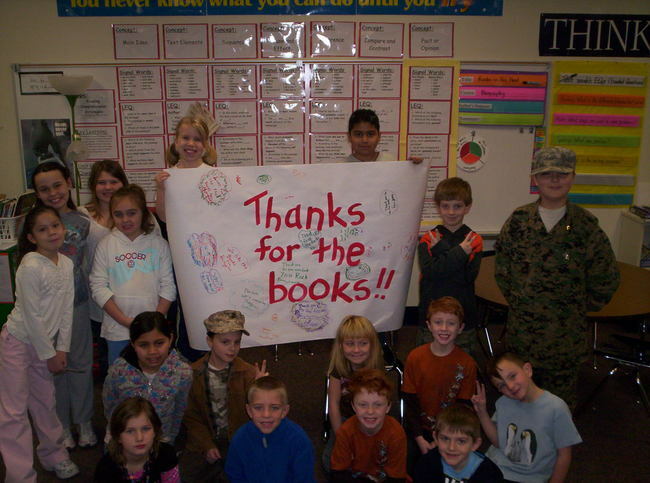 It was a huge success; we got thousands of books to elementary schools who needed them. The kids were thrilled (see the pictures above), and we were so proud of our membership’s response. It even made the local news in some places! 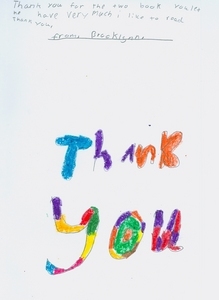 Because of your enthusiasm, we were able to help far more schools than we had ever expected. 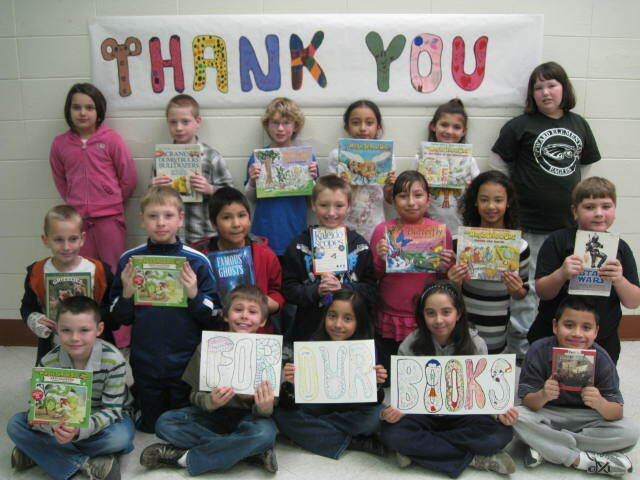 We’ve set an ambitious goal this time–25,000+ books for deserving schools all over the country. All of the selected schools have a high percentage of students receiving a free or reduced-fee lunch. These kids are eager for books, but their school libraries’ funds have been cut, and many of the students have never owned a book. 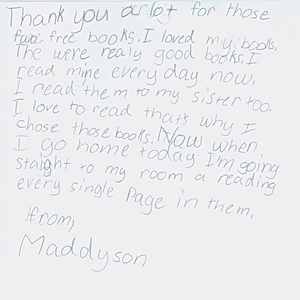 Making it possible for them to be able to borrow books from the classroom, or to have books of their own to read at home, would be a wonderful way to give the gift of reading to a child this holiday season. 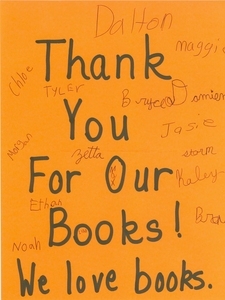 For each credit you donate, PaperBackSwap will provide a brand new book to one of these schools! The books will be used in the classrooms, and/or given to the students to keep. 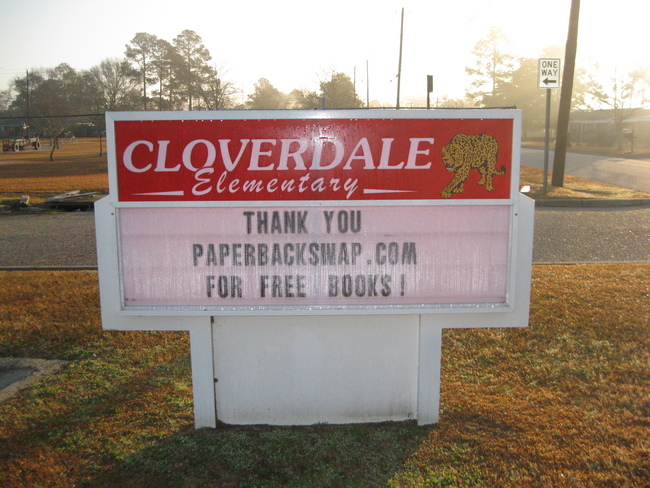 Once a school has reached its goal of donated credits, PaperBackSwap will ship all of the books to the school, for free. Read more about how the program works. Happy Thanksgiving and all the best for the holidays!